Our mobile chart rack solutions are designed specifically for patient charting systems. 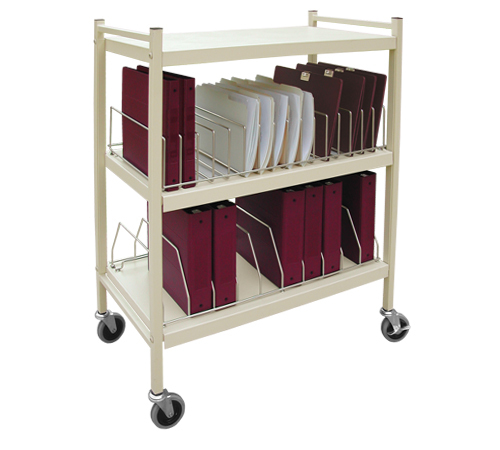 Our carts provide organization and protection against ring binder wear & tear. Optional locking panels help maintain patient and resident medical record confidentiality.